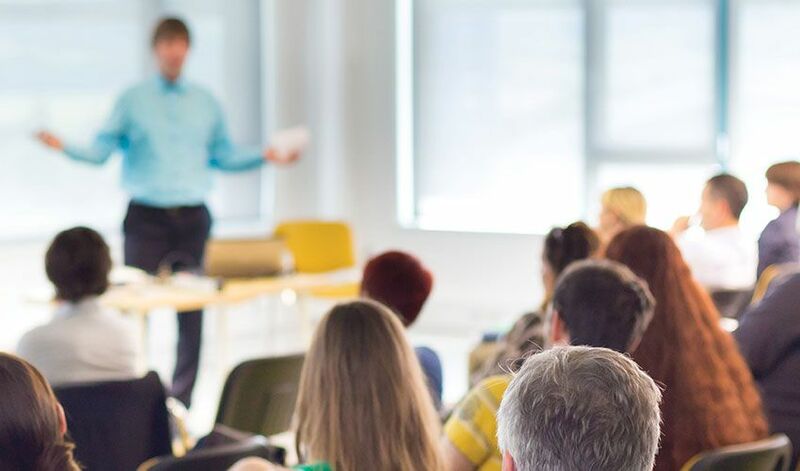 Many organizations have a training and development function of their business nowadays, whether it is one or a few staff members devoted to training and development, or an entire department. Developing a training function not only helps centralize employee training and development, but also supports an organization's commitment to employee development. Increasingly, organizations that invest in and structure their approach to training and development have a 'leg up" on the competition. Here are the keys to setting up a training and development process. Set goals for your training and development function. What does it set out to achieve? How will it support the business and its strategy? How will it integrate and align with other HR functions? And, how will you measure success? What key outcomes are expected? 2. Conduct a training needs assessment. Evaluate training and developmental needs of employees. Assess gaps between the skills needed for effective job performance and the skills currently held. Consider the gaps between employees' interests and personal developmental goals. Also, identify who needs training. Establishing staff for your function is critical and could include either one individual or a team of employees. When determining your staffing levels, it's important to consider how many employees you will service, whether training will be conducted by internal staff, and the types of activities or training that will be carried out in the department. As you set your first training and development budget, seek benchmark information from other organizations or surveys regarding how much other organizations budget for training. Also, consider the types of offerings you plan to deliver, how many offerings you are going to provide, and expected participation/number of people trained. All of this affects your training budget. 6. Determine training management logistics. Decide if training will be voluntary or mandatory. Determine how employees will be able to request training and how the training approval process will work with managers and supervisors and/or HR or the training staff. Consider whether you will offer "core" training and development offerings. Decide which types of delivery formats, what topics, and how much training and development will be approved and financed by the organization. Create a reimbursement process for training expenses. Establish applicable policies for training and development activities, such as criteria and guidelines for tuition and training reimbursement, how and when training hours will be paid for non-exempt employees, request and authorization for external training, etc. Many organizations also have a policy which states that it encourages employees to develop their capabilities and offer learning and development programs. Some also cite specific eligibility criteria for participating in training and development programs. 8. Develop a system of prioritization. Develop a system of prioritization for training needs. For example, higher priority training and development may depend on subject matter and business needs, topics with the broadest impact, etc. Lower priority training and development may be specific to one individual's needs with low business impact. A training matrix is helpful in establishing priorities. 9. Select topics and create learning objectives. Using results of the training needs analysis, select topics on which employees will be trained. At a minimum, all organizations should supply training relative to new-hire on-boarding, safety, compliance, harassment, systems and tools, supervisory/leadership, as well as sales and service. For each topic or training, create learning objectives to make sure that the content leads the employees to attain the specific skill or knowledge needed. This will help ensure that training and development needs are met. 10. Choose delivery formats and tools. Depending on what topics you have and the learning objectives, certain delivery formats and tools may be more appropriate than others. The topic and the learning objectives should drive your choice of delivery format and tool. There are a range of delivery formats to choose from: instructor-led classroom training, webinars, e-learning, social learning, coursework, certification programs, involvement in professional associations, mentoring, coaching, stretch assignments, and informal learning (cross-training, job shadowing, etc.). Collect employees' feedback about each of your training programs. A form that rates aspects of the training and collects comments about its effectiveness should be used to improve the program and evaluate its impact. Interviews, focus groups, and committee feedback can also be beneficial. Follow-up with managers, as they have the biggest impact on the success of training and development. Ensure that employees have opportunities to practice their new knowledge and skills on the job, are supported with coaching and feedback by their manager, and are held accountable for integrating their new skills and knowledge. Providing on-going "byte-sized" learning can also help reinforce what is delivered in training. Beyond gathering feedback, it's important to evaluate the results of your training and development initiatives in terms of knowledge and skills obtained by participants, behavior change, improved performance and/or productivity, and even return on investment. Establishing specific criteria for measuring training and development is helpful for this. Setting up some form of a training and development process is important for any organization. There are ongoing training needs when you employ a workforce and having a training and development process in place will help your organization identify those needs and respond to them.